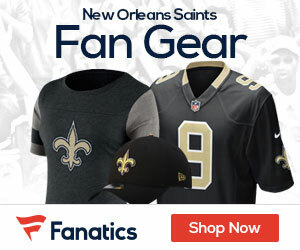 The Saints got back on track last Sunday with a huge NFC South win over the Bucs, and this week they are back at the Superdome to take on one of the worst in the AFC and maybe the NFL – the 1-5 Cleveland Browns. Sure the Browns are not very good, but that’s not an excuse to get out and see the Saints, who are a whopping 13.5 point favorites. With Drew Brees and the offense clicking, you don’t want to miss a chance to see this game live. 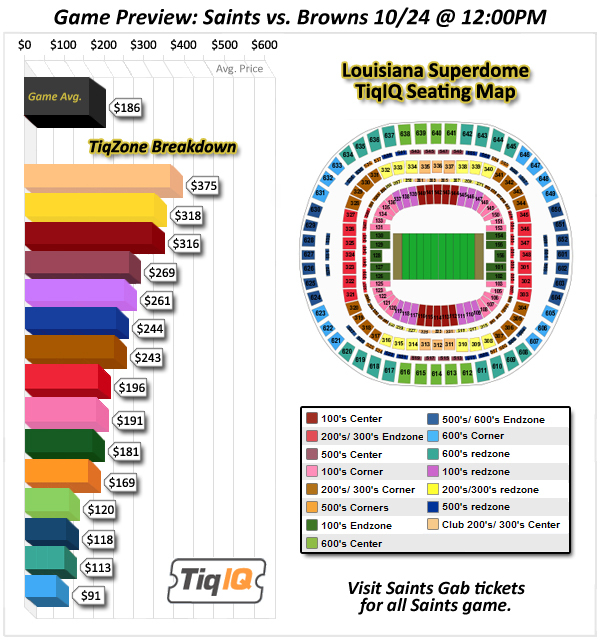 With that, our ticket service will give you the best prices from all over the web right up to game-time Sunday to get to see the Saints live. One sidebar to keep note of is the chance also to see former Texas QB Colt McCoy, who will be the starter vs the Saints Sunday. No one won more games at Texas than McCoy, so it will be interesting to see if he can get past the Saints D.
So click HERE and check out all the great prices on Saints tickets this weekend, and check out what should be their second straight win as they play the AFC Browns Sunday.